Project Size: 1,600 sq. 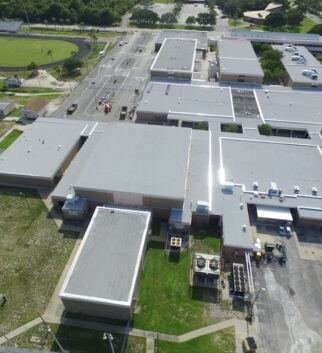 ft.
A cost-effective and low odor roofing solution for Pinellas County School Board. 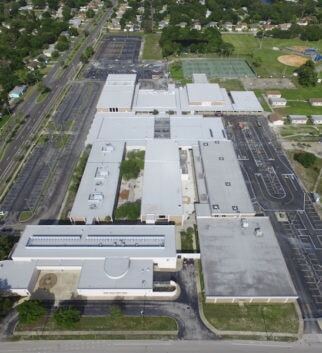 This project for the Pinellas County School Board was focused on Lakewood Senior High in St. Petersburg, FL. 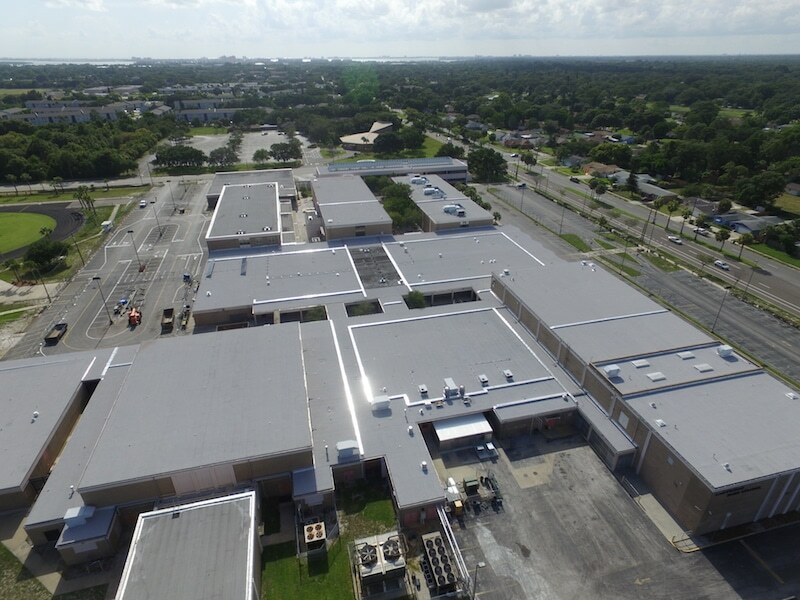 Roofing manufacturer, Garland, asked Springer-Peterson to provide an estimate for this large project, as one of their preferred contractors. 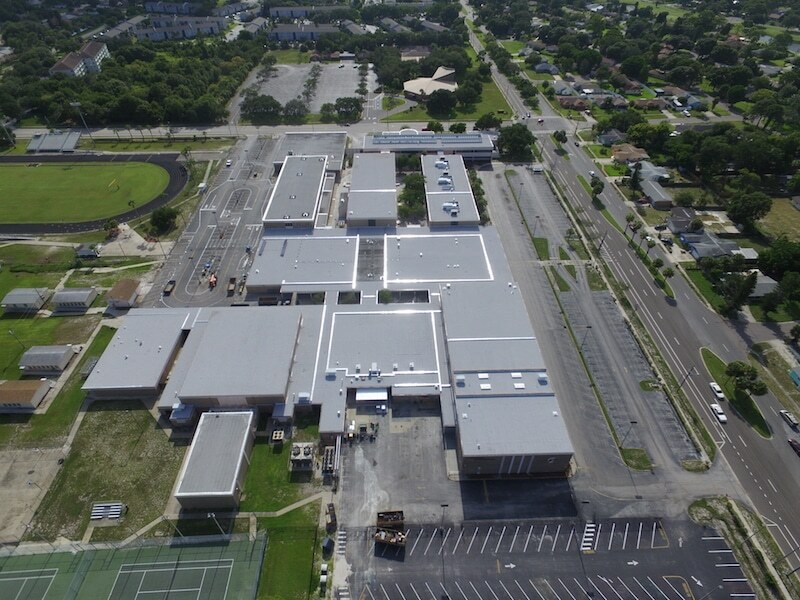 Springer-Peterson was honored to be selected for such a prestigious project for the school board, serving thousands of students. We knew that we could partner with Garland and seamlessly execute their recommendations and specifications as well as bring additional value. Once a few roof leaks started, Garland was brought in promptly to evaluate the situation. It was identified that the roof was not at end of its life cycle yet which was positive news. 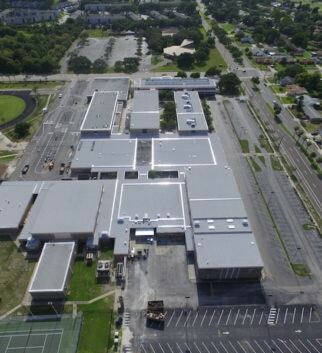 The actual roofing project had to be planned with keeping the high school students and faculty needs at the forefront. 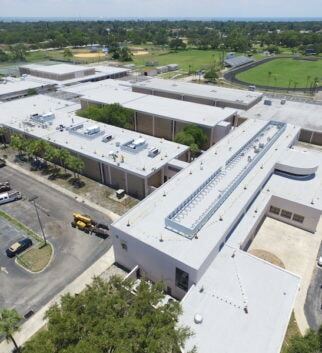 This included making sure the project occurred during non-school hours and to have a low-odor environment, avoiding many of the distracting odors that can sometimes occur during a roofing project. It was decided to do this project during the summer-break where students were not occupying the building. 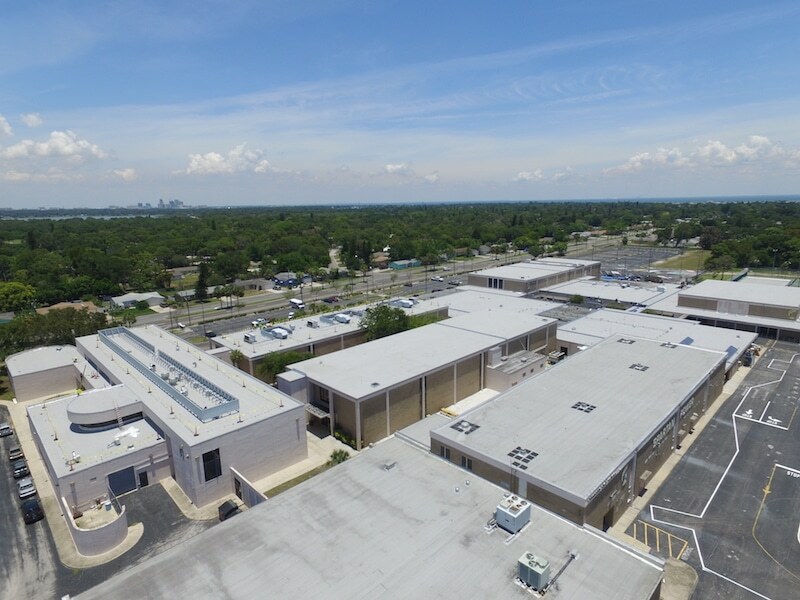 The roofing solution was cost-effective because it was determined that a roofing restoration could be an option for most of the roof. 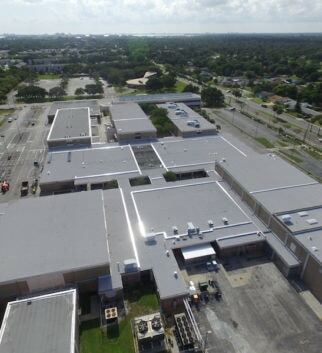 Since the roof issues were identified before the end of the roof’s life cycle, restoration was the ideal fix. 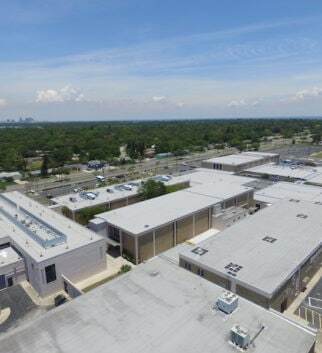 A restoration would allow Lakewood Senior High extend the life of their roof without re-roofing and provide a low-odor project. By choosing a Garland Energizer roofing restoration, this client would likely reap the benefits of another 5, 10, or in some cases, 15 years at a fraction of the cost of a completely new roofing system. 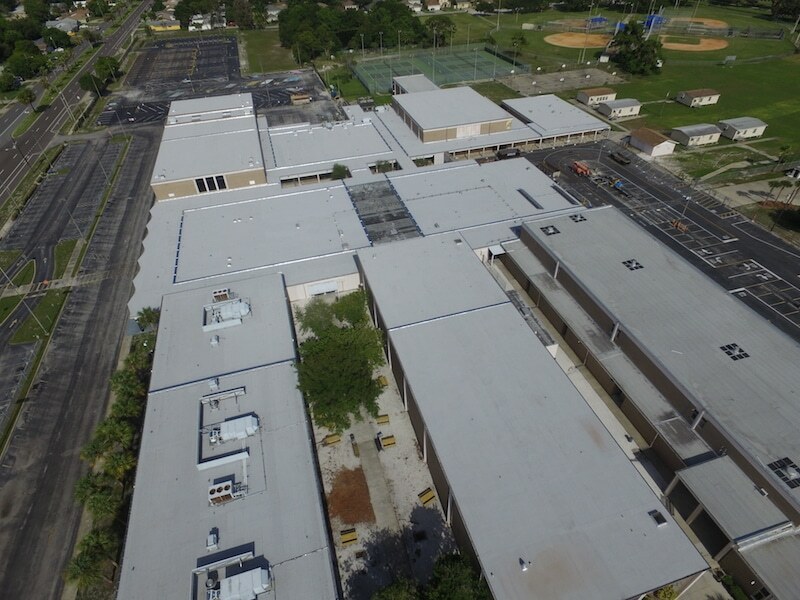 For just one section of the roof, a GAF roofing solution was hot-applied with asphalt. 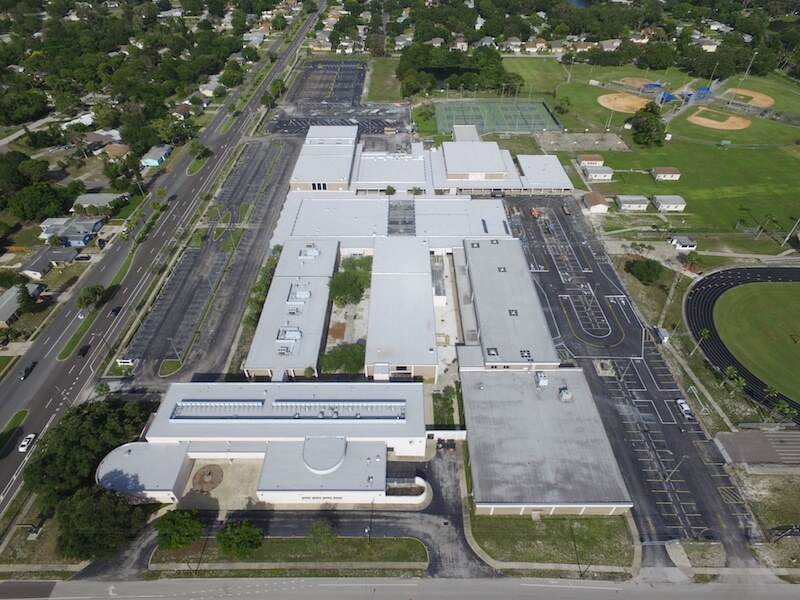 All related roof components were installed new such as gutter gravel stop, pitch pans, and so on. This section included a ¾ inch of insulation, multi-ply modified cap sheet. Providing added insulation always makes a difference in overall roofing value. The surfacing was also very reflective to give some benefits to their heating and A/C efficiency. 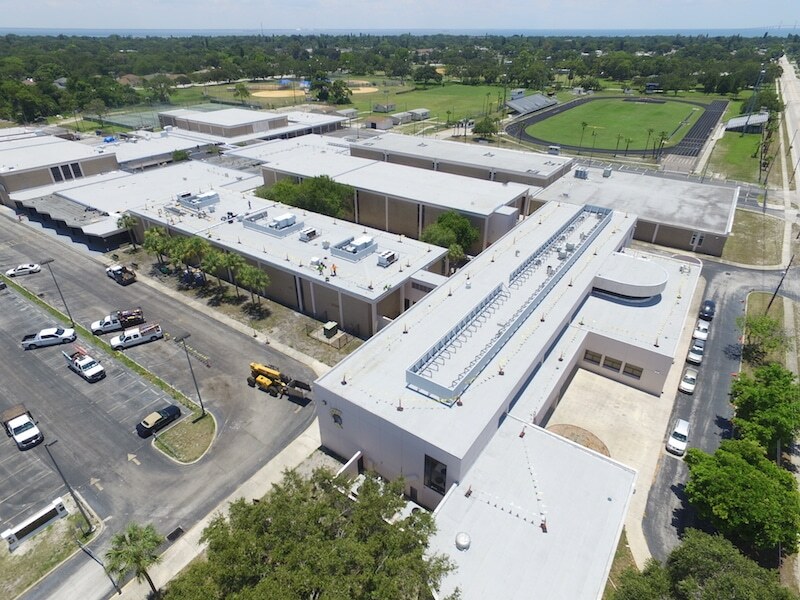 The Pinellas County School Board was highly satisfied with the work that Springer-Peterson performed, resulting in fixing their leaks and extending the life of their roof at a cost savings. To overcome the accessibility issues, Springer-Peterson built ramps, removed rails & stairways, and ducked under where needed. We also built low carts to carry the materials underneath the piping since discovering the piping was too low to get to where we needed to go. 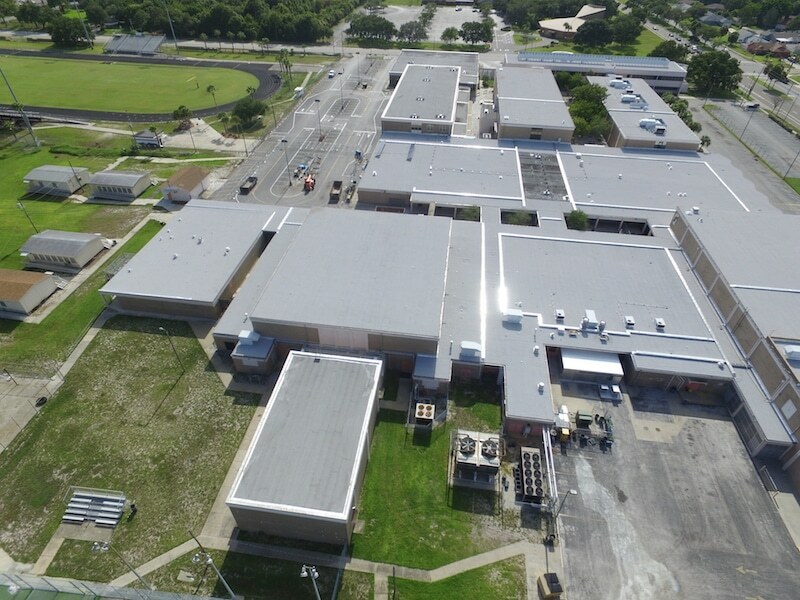 It was highly difficult for Springer-Peterson to get from point A to point B and to move materials and debris during this project so these solutions allowed the project to move forward on time to completion. 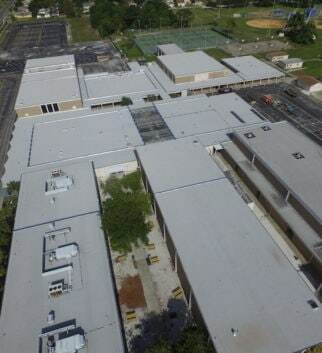 The best part of this roof replacement project was that there were no daily business disruptions, no food contamination, no loss of business, no downtime, no water intrusion, and all occurred within an odor free environment. Tampa Maid Food was extremely pleased and deemed this project a complete success.